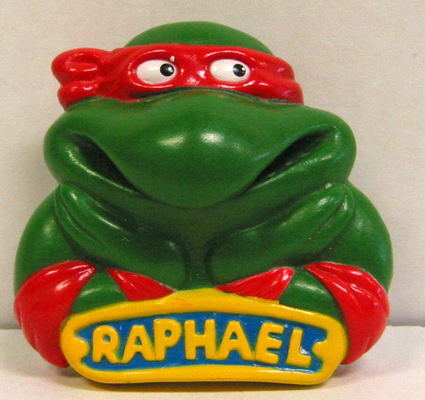 Don’t worry, there’s more retailin’ talk after the pog talk. A small reminder: I’m about to wind down the daily posting over at pogressiveruin.com, the Internet’s #1 source for watching a middle-aged man slowly drive himself crazy wallowing in some fad from a couple decades ago. 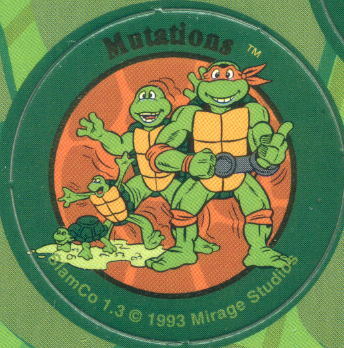 I don’t know if we’ve learned anything, but one thing’s for sure: we certainly got to see a lot of large scans of pogs. Anyway, I originally intended to go into that site with a finish line in mind, and that finish line was always meant to be six months after I started. I figure that’s probably enough. It’s not grinding to a complete halt…I’d like to keep the option open for featuring any more future oddball cap discoveries from this collection, so there will probably still be a new entry every now and again. But, as of February 15th, the daily posts there are done. If you followed that site, I appreciate it! Also…why? Are you nuts? 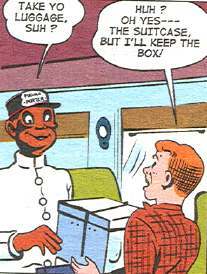 And then of course there are the comics that never change sales levels, ever, no matter what the publisher does, what gimmicks they try, etc. For example, sales on one particular long-running-through-a-variety-of-publishers property have been pretty much unchanged for some time now. Don’t go up, don’t go down, don’t do nothin’ but sell the same number of copies every month. But when a second series featuring this same property was solicited, I thought the variety of different covers, plus the fact that it’s a new first issue of this once very popular character, might encourage additional pick-ups. And, when the comic came out…hey, we sold more copies of a comic based on this specific property than we normally have of late! …Then I realized that one of our regular customers who usually bought the other series bought one copy each of most of the variants of this new #1, so while we technically did increase sales of individual copies, we didn’t increase the number of actual customers for it. So while it was a good thing for me to bump up orders like I did, it didn’t actually bump up readership, but that’s okay. Not everything works like I planned…and I did sell more comics, so I guess I shouldn’t complain. History (well, really recent history, as the story in the previous paragraph wasn’t from that long ago) is sort of repeating itself this week, with the release of this new Ghostbusters comic from IDW. IDW’s previous Ghostbusters comics started off…okay, saleswise, but have slowed down a bit for us. I’m taking a bit of a chance on this new series, having bumped orders up a wee bit over what I normally sell on Ghostbusters , since I think the comic looks like fun, the covers stand out, and my plan was (which I in fact implemented last night as I was setting up the racks) to display each cover separately, rather than shoving them all together into a single shelf space, which should garner a little extra attention. I may just sell more of the first issue, and maybe we’ll be back to regular Ghostbusters sales levels with the second, but there would be no chance of increasing sales on #2 if I don’t have the #1s for people to try out right now. Maybe it’s good money after bad, I don’t know, but it doesn’t hurt to give it a try. Ghostbusters is a known property that people generally like, and with a bit of sales strategy combined with a comic that looks a little more appealing than the previous GB attempts from IDW, maybe I’ll sell a few more copies. Worth a shot. Now if they could somehow bring back the Slimer solo title, then IDW would be cookin’ with gas! 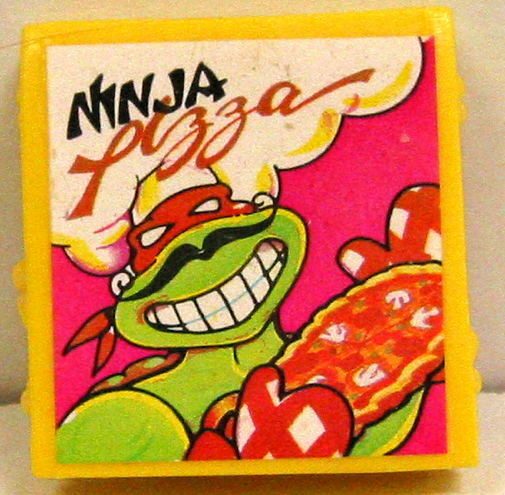 Just one more pog post on this site, I promise. So a long time ago, prior to the early 2010 redesign of my site, I used to have a different title banner on my site every week. Sometimes I made them myself, but usually they were contributed by readers, and I’d post them up with a little link credit to the designer. With the recent resurgence of the “pogressive ruin” name in my comments and, yes, people saying it to my face, the thought did cross my mind, “hmmm, maybe I should grab that domain name,” and then I thought “some of these milkcaps are pretty bizarre, it might be amusing to present them on said site,” and then I thought “maybe this could help me whittle down the pile currently at the shop,” and then the next thing you know, this happens. So yes, pogressiveruin.com is now open for your viewing pleasure. I plan on this project to be primarily image-heavy and text-light, so this won’t be some extended treatise on ’90s fad marketing and exploitation, beyond what’s already implicit in the products themselves and what I’ve already written on the explanatory page. I just want to be amused by weird things, and hopefully I’ll amuse some of you, too. I’m also not planning for this to be a permanent, ongoing project. I figure about six months, tops, so feel free to come back and laugh at me when I’m still doing this a year later. Most importantly, at least for some of you, this is separating out the pog content from this site, so come back, it’s safe now! Well, after today’s post, anyway. 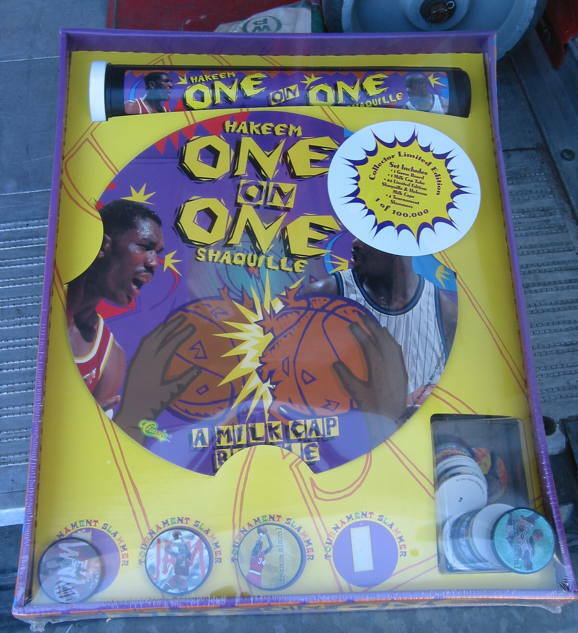 Thanks to Seth, the store owner who acquired this ginormous pog collection in the first place, who’s also totally behind this pog blog project of mine. And a very special thanks to the greatest stuffed bull of them all, Bully the Little Stuffed Bull…I needed a particular quote for this new site from an issue of Brave and the Bold , I didn’t have that issue, I put up the Bull-signal, and Bully answered right away with exactly what I needed! Thanks, Bully! So anyway, pogressiveruin.com. Look what you all made me do. EDIT 8/21: Dave found his copy of the “Pogressive Ruin” banner mentioned above! In case you’re wondering why I’ve been quiet this weekend. I’m reasonably certain we do sell comics. 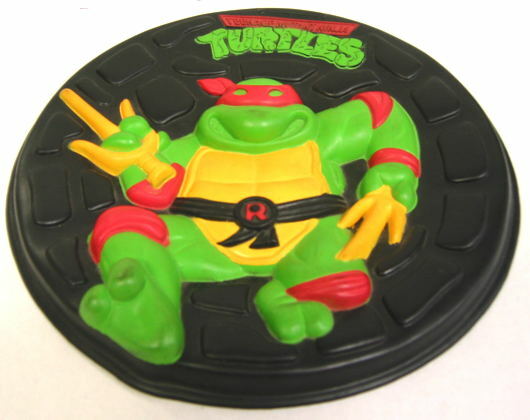 …and it was POGs. 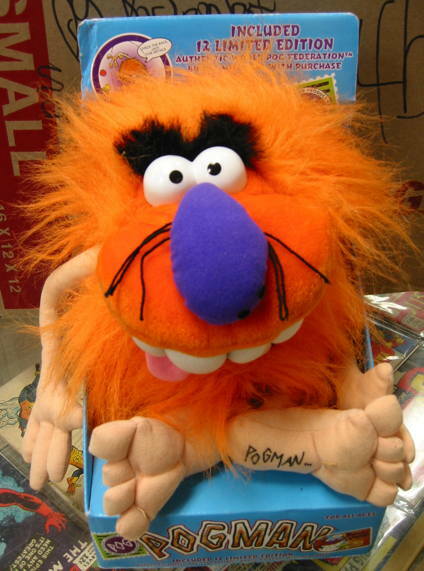 …We pointed him to the corner of the store where we were trying to contain the vast amounts of POGgish items of which I’d only barely scratched the surface in these last couple of posts. I told him I didn’t know what to do with all the POGs we already had. He suggested I give some away with each comic book purchase. I replied that I wanted to keep my customers. And we both laughed, though I think my laugh was tinged slightly with hysteria and despair. 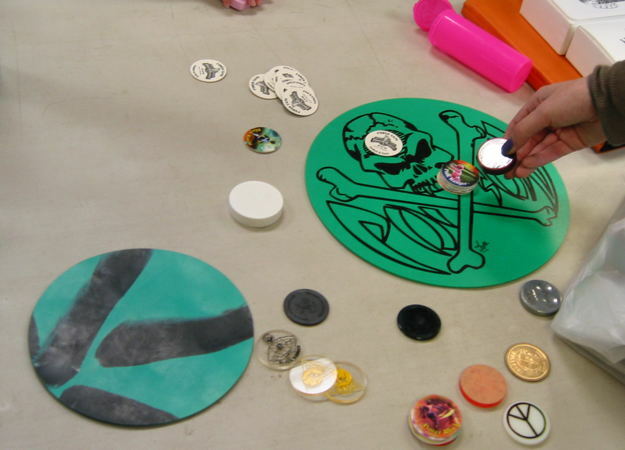 And yes, we will totally have POG tournaments at the shop, if people want to play ’em. I mean, why not. Might as well dive fully in. …except, well, what teenager doesn’t have problems with acne? 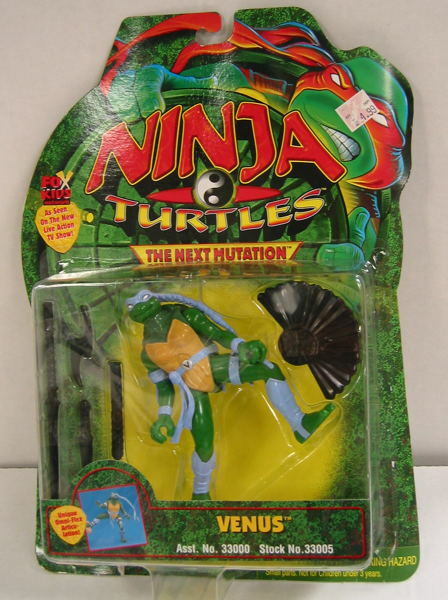 …until a quick trip to the Turtles Wiki explained she was a fifth turtle mutated by the radioactive stuff that created the regular TMNT gang, who did not know of her existence. 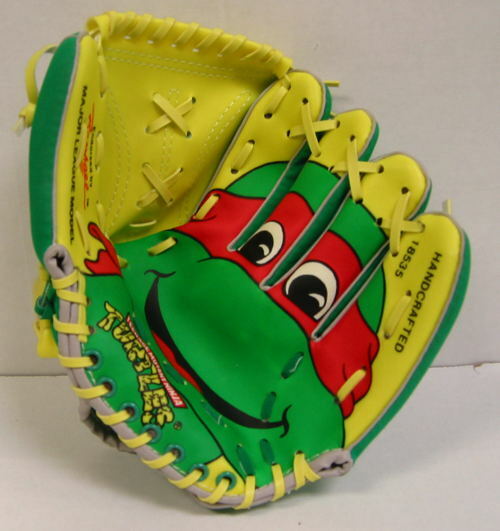 …unless there’s a two-fingered / one-thumbed version he was able to personally try out and I don’t know about. That would take some fine nasal control, I’d imagine. 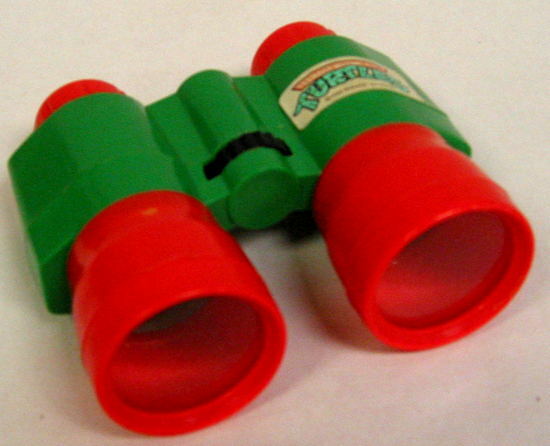 …in that it made things look, oh, about an inch or two closer than just plain looking at that thing. 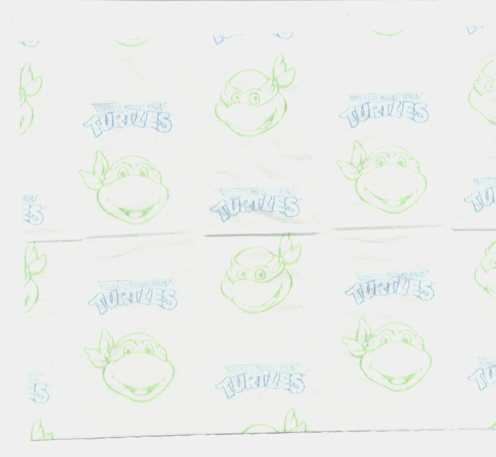 I guess if a turtle can have breasts, then why not a mustache? 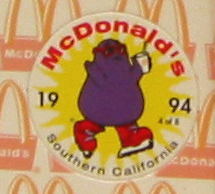 All roads lead to POGs, I’m afraid. 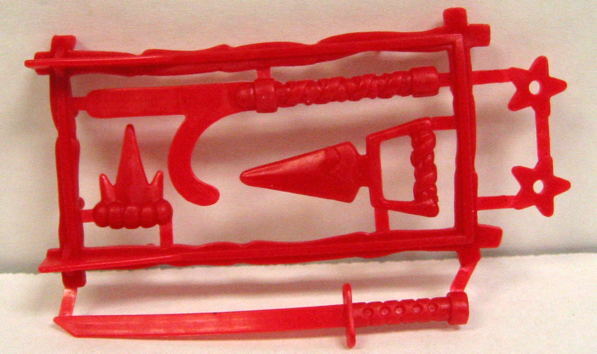 I mean, honestly, just look at it. 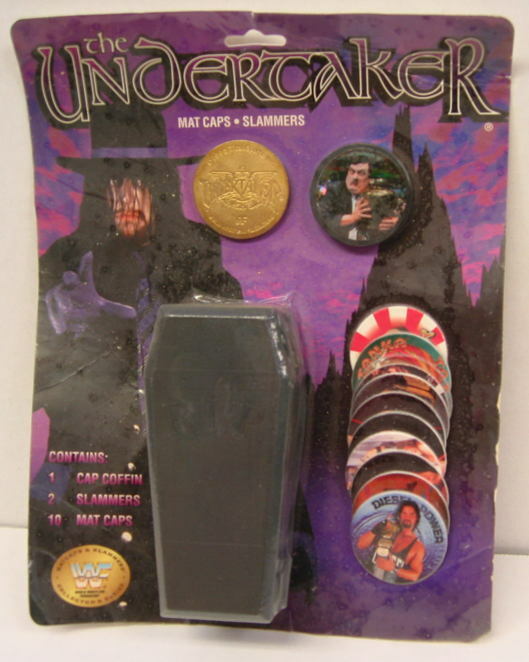 It comes with a plastic coffin in which to store your caps. This is a beautiful thing. 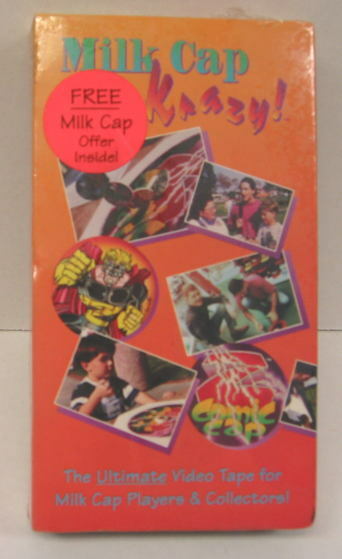 Anyway, I did indeed return to the shop on Tuesday to find that the boxes from our shocking Sunday shipment had all been opened up and the contents sorted out, and I spent a few minutes picking through the entrails of this long-defunct POG store to see what caught my eye. I’m pretty sure I saw holographic foil robot unicorn POGs, but I’m going to have to go back and confirm before I admit to it here. Also, there are bags upon bags of Christian-themed caps, because why not. If I remember the back of the package correctly, this 20-minute video promises music from “two different Southern California bands!” which really narrows things down a bit. I have no idea who the bands actually were, so I’m gonna pretend they were “Steve Garvey’s Hair” and “False Confession” just to amuse myself. So, yeah, I told you I’d be presenting more from this collection. If I gotta deal with it, so do you. Despite all my supposed despair and bemoaning of this fate, I think I’m distanced enough from the actual height of the fad and my retail part in it to look at these things for the cultural oddities that they are. To appreciate their absurdity, and to examine the exploitative Gold Rush that surrounded them. Just when I thought I was out…they POG me back in. 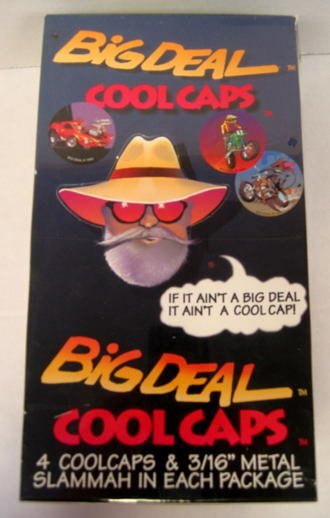 This fellow was apparently a distributor and / or manufacturer of cap products during the height of fad, in the early ’90s, and these rare jewels have apparently been resting in storage for nearly two decades since. 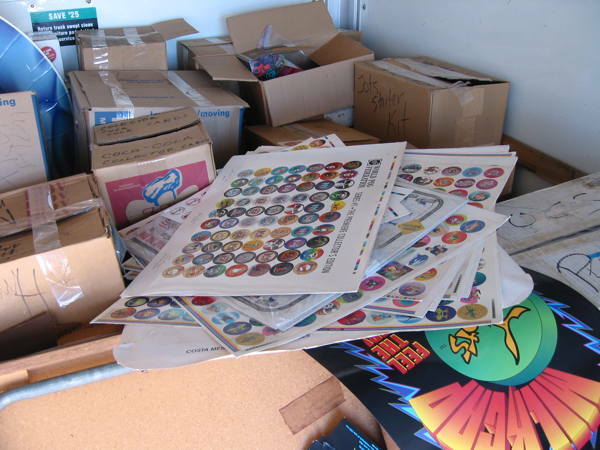 I haven’t had much of a chance to actually go through the boxes, since mostly we were just hauling them out of the truck and making a giant POG box pyramid in a corner of the shop. 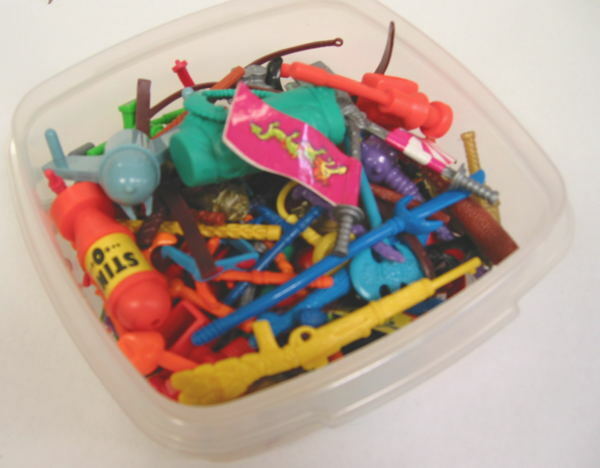 However, one employee drew the short stick and he’s going to go through and sort everything out…and when I’m back on Tuesday, I’ll begin the process of getting these things on the eBay and finding homes for them. 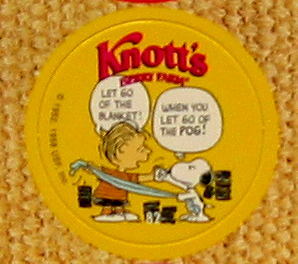 Yes, this means I am back in the POG-selling business. …Don’t you judge me. 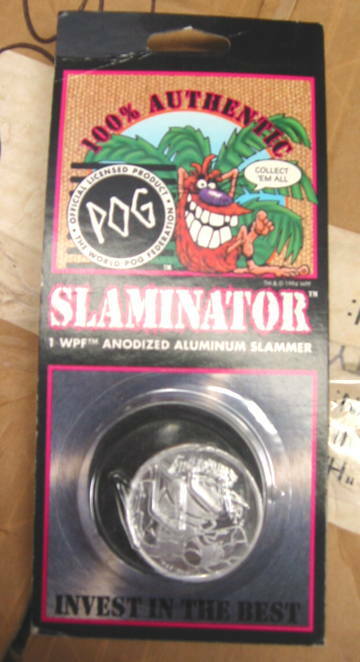 And if you don’t know what “slammers” are, please don’t ask me to explain. 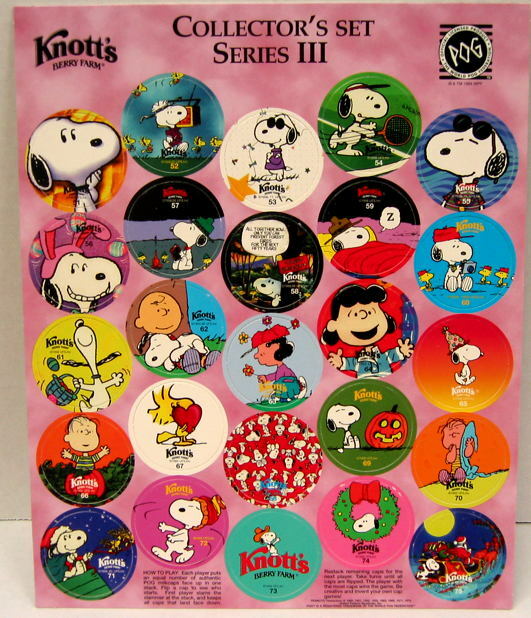 Speaking of which, another customer, a young fellow of about twelve, asked us what POGs were as he’d never heard of them, and I envied him his youthful innocence. Just to allay any concerns, I took this pic on top of one of our glass cases, so Pogman isn’t directly sitting on top of our copies of Daredevil #7 (1965), Marvel Tales Annual #1 (1964), or X-Men #8 (1964), as it may appear. Oh, there are no winners here. Most terrifying part of this video? Yeah, there was more than one in this series. Seriously, I am tempted beyond all belief to pop this open and watch it. In an odd sort of way, I’m sort of excited, just for the sheer “OH MY GOD WHAT’S THIS” entertainment of it all, not to mention seeing what actually does sell and for how much. 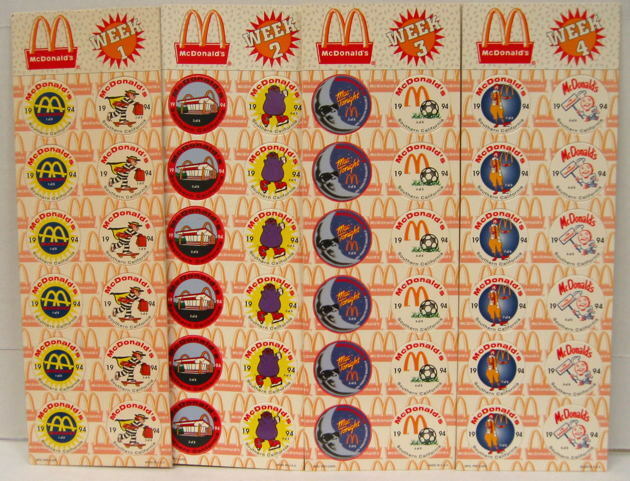 And believe you me, I’ll be taking full advantage of the “pogs” category on this site if I find any more treasures. In the meantime…drop by the shop! Scale POG Mountain! See Mike just kinda stand there and shake his head in bemusement! I wasn’t planning to post today, but I had to mention this. 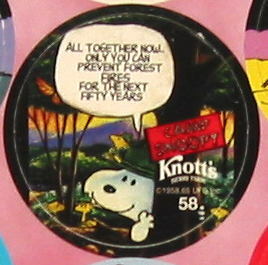 I knew when I saw this Metafilter post on POGs this morning, it was only a matter of time before I got mentioned. Thank you, Martin…I think. 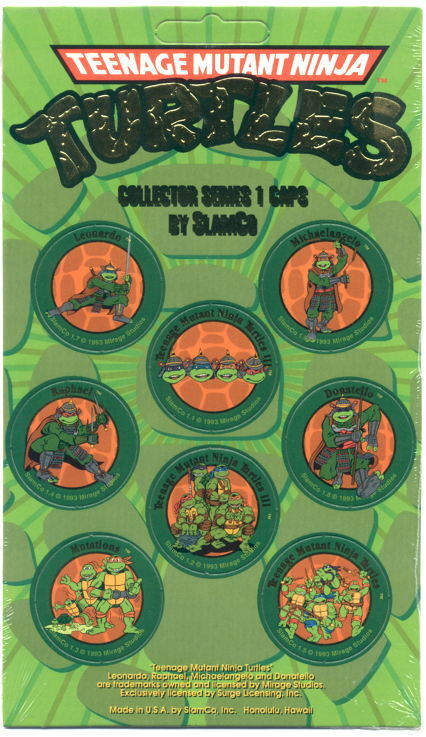 Anyway, that encouraged me to go through and add the “POGs” tag to some of my previous posts to fill out the category a bit. I consider that part of my penance for having sold the damned things in the first place. (Yet another) SECRET SHAME OF MIKE STERLING. § November 6th, 2009 § Filed under pogs Comments Off on (Yet another) SECRET SHAME OF MIKE STERLING. 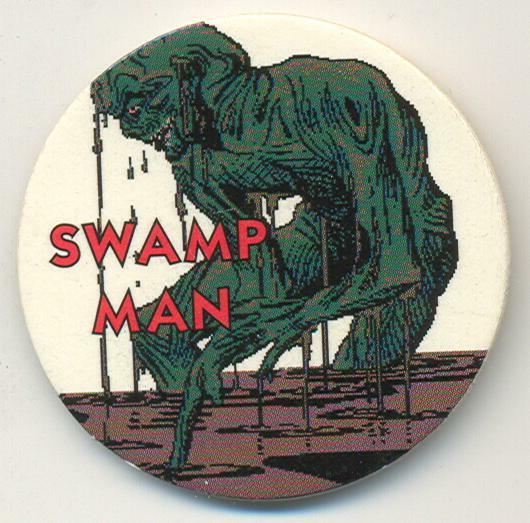 ‘Course it’s something sorta Swamp Thing-esque. Also, I didn’t realize just how pixelated the thing was ’til I blew it up good and big here for the site. 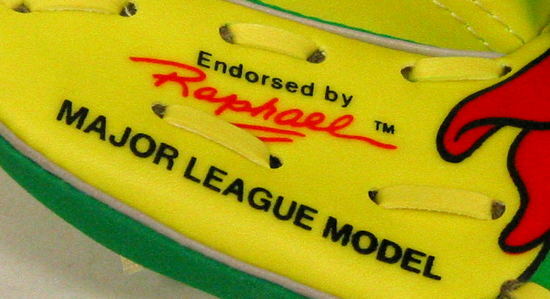 Frankly I’d expect a little better quality control on my rushed-out and cheaply-made fad-exploiting pieces of cardboard. More ’90s retailing , a Licensable Bear™ cartoon, and links to Punisher studies. 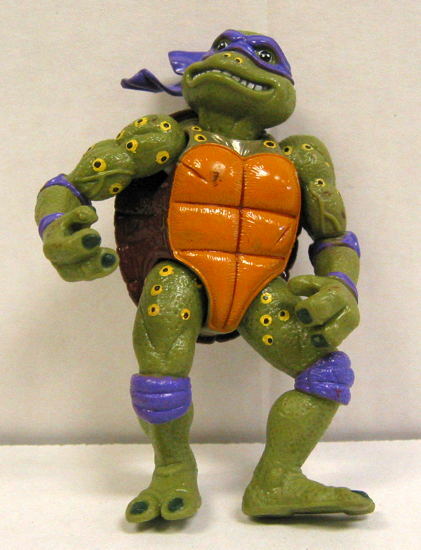 § July 20th, 2007 § Filed under market crash, pogs, question time, retailing Comments Off on More ’90s retailing , a Licensable Bear™ cartoon, and links to Punisher studies. Okay, I’m gonna try to go through these a little more quickly…I’ve given you a lot to read this week, which means a lot of typing on my part, and a man’s gotta get some sleep sometime. Plus, that Doctor Who Genesis of the Daleks DVD I got from Netflix ain’t gonna watch itself. I think the simple departure of the investors meant a stabilization/correction of the market…unfortunately, that stabilization of the market also included the departure of fans who were present prior to the fad/boom, who left for a myriad of reasons (tired of the decline in quality, disgusted by the catering to investors, distracted by other hobbies, etc.). 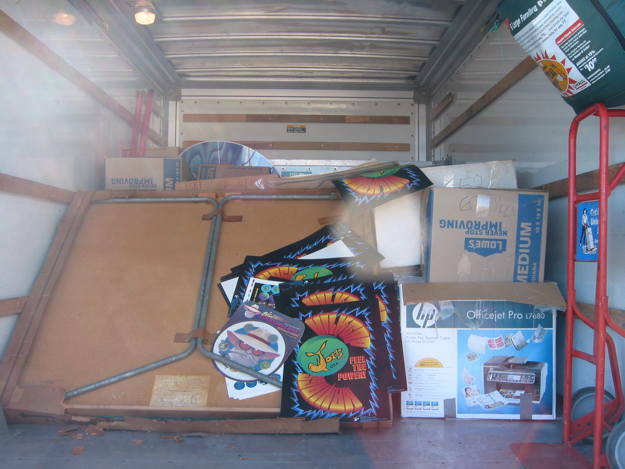 At that point, there was no where to go but up, really, and with the shaking out of lesser books and a general increase in quality in what was left, you got the sense that a slightly healthier market was beginning to emerge. Retailers ordering more sanely, consumers showing a bit more discretion…we all went from “wild abandon” to “cautious penny-pinchers” right quick. The Quesada/Jemas thing, if anything, probably stirred things up a bit more than the market was really ready to deal with at the time. It’s like taking someone out dancing two days after they broke both their legs…a little more recovery time is probably required. I’m thinking the whole “upping comics schedules to every three weeks instead of monthly” shenanigans they tried, briefly, before discovering everyone hated it. Probably…we had a few folks wondering where all their Punisher titles went, for example, or noting that a lot of the comics they were following suddenly dried up, or came out less frequently. Whether some of them were aware of the changing marketplace as a whole, I don’t know…I imagine some never really noticed. So long as we still had our doors open, still getting new comics every week for them to buy, then it was all Business As Usual. You’d think. I did a lot of explaining to people trying to sell us comics during the lean years why their stacks of Image #1s weren’t worth diddly squat. On the other hand, there’s a particular phenomenon I’ve noticed when I see collections from people who bought multiple copies in large quantities. 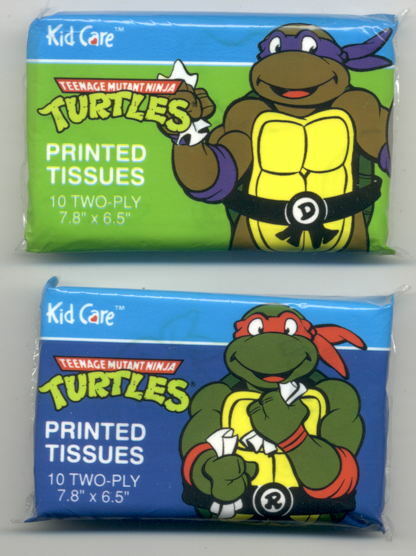 The vast majority of these people did not keep their comics in new condition. Of those 500,000 copy print runs, chances are the copies that actually made it into customers’ hands (and not just stored away in shop’s backrooms) are not longer in mint shape, if they were even kept at all and not just tossed out once the faddish fever broke. So, maybe, just maybe, that one person who bought fifty copies of Secret Weapons #1 and managed to keep them in mint shape actually may have something, there. 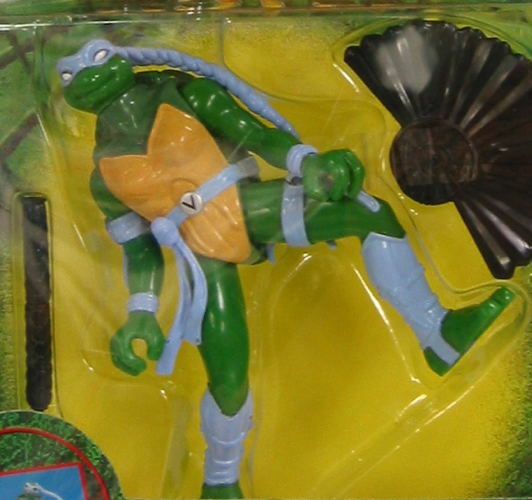 Still not going to buy ’em, though. 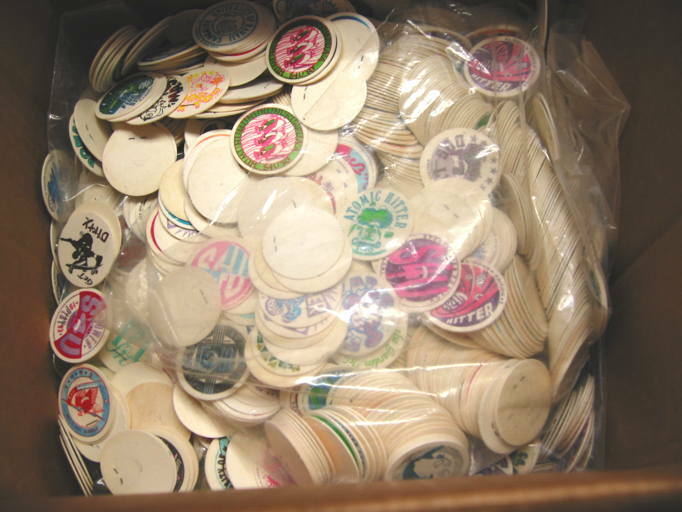 Nope, no more POGs. 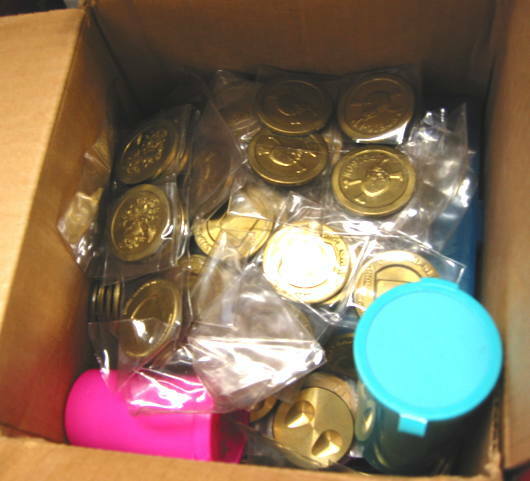 A year or two back I found one last cardboard box filled with POGs and associated paraphernalia still gathering dust in the back room, threw it as is on the eBay, and got about thirty bucks for it. 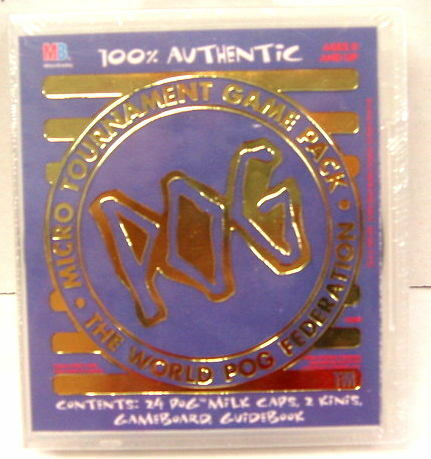 Aside from maybe a POG promo or two in our card section, and that little tiny plastic POG case with a few caps in it that I use as both a paperweight and as a constant reminder of my retailing sins, POGs are no longer welcome in the store. 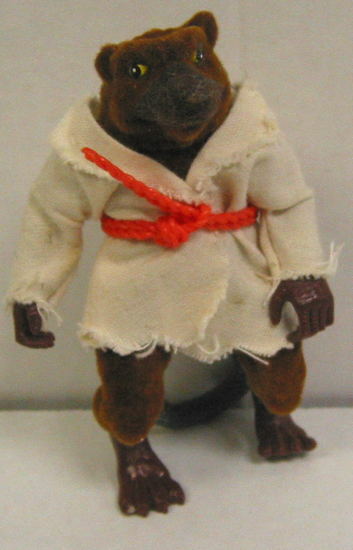 Phooey, sez I. My expectations was that it was a faddish increase, and that things would eventually normalize…but I figured it would normalize with some extra folks joining the comics scene as regular readers, so that as a whole the market would be slightly larger than before. Alas, what ended up happening, as I noted earlier in this post, was that the investors went away, the fad-followers went away, and a bunch of the regular fans went away, leaving us with a shell of an industry. I’ve discussed this in past posts of mine, trying to track down the book that killed the industry. In my mind, it’s still Turok Dinosaur Hunter #1 from Valiant, which every retailer overordered, and ended up not selling anywhere close to expectations. 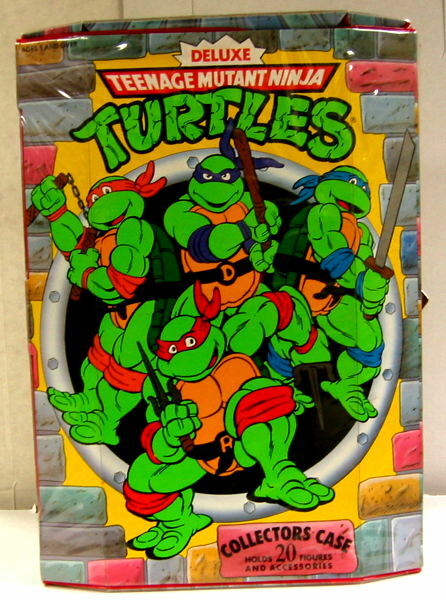 It might just be me creating connections in hindsight, but it seemed to me that this was the book that triggered the realization that investing in comics, particularly comics that had larger print runs than the Bible, was a really stupid thing to be doing. Tekno Comics is a good answer, featuring a lot of Big Famous Names on titles that they were only tangentially attached to, like, say, Isaac Asimov’s I-Bots . Not saying they were bad books, but having “Isaac Asimov’s” and “Neil Gaiman’s” and “Mickey Spillane’s” across the tops of the covers, and having someone else write the insides, was bound to disappoint somebody. Yeah, I know, what were they expecting, but still. In general, though, I think the huge amounts of money spent to try to compete with Marvel and DC at their own shared-universe superhero game was a bad idea. And the whole “collect the trading cards to assemble the first issue of our series” idea for Defiant’s Warriors of Plasm and, I think, Dark Dominion , seemed like a good way to dissuade people from trying your books. So, yeah, RPGs, Magic, Warhammer…all that stuff definitely helped. But you’re right…the side effect of this was that, just by the sheer numbers involved, some of those people would actually turn out to be pretty good, and got their breaks during this creative influx. So that’s a good thing, but too bad about the trials we all had to endure for this to happen. That is probably one of the best ones, but I still like the firework effects on this Adventures of Superman cover, and this enhancement may be the Greatest One Ever. I’m kinda partial to glow-in-the-dark covers, too, like the Spectre ones. Or that elaborate Mighty Magnor pop-up cover by Sergio Aragones. All in all, I didn’t hate the idea of novelty comic covers, but there were just too many, too fast. 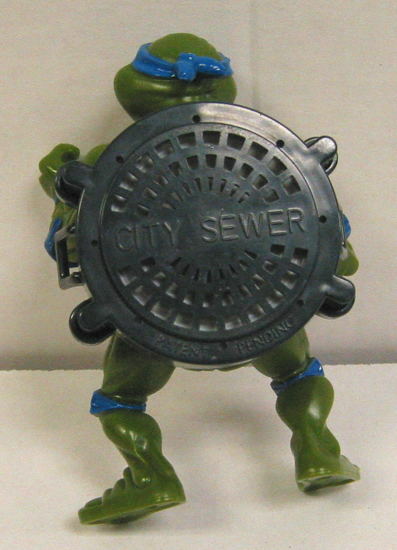 It involves throwing a heavier POG, or a Slammer, at a stack of other caps, and whatever flipped over you got to keep, or something. 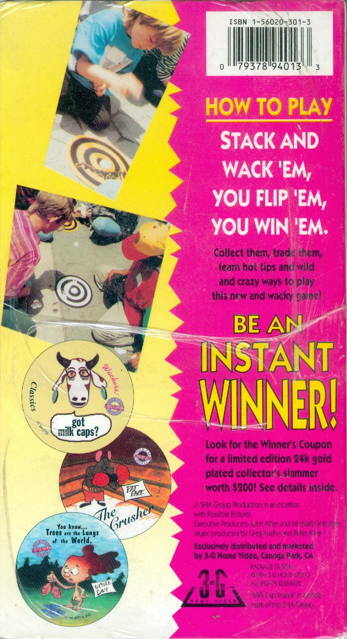 Either that, or the point was to accumulate as many POGs as possible, so your mom will something to complain at you about leaving all over the floor of your room. True enough…though a portion of those b&w titles were selling to retailers, and not necessarily getting into the hands of any customers. Shadow of the Groundhog sold great to that convention guy I told you about yesterday…he just couldn’t sell ’em to anybody else! But I get your point….lots of good b&w titles sold solid numbers, to actual readers…numbers that may have been sneered at by Marvel and DC at the time, but are probably looked at now as “pie in the sky hopes” dream numbers by the Big Two. Speaking of Pal Nat, the (sniff) last issue of Licensable Bear™ , #4, is now out in stores. Read more about the cutest little licensable bear ever at Licensablebeartm.com.